Imagine being a parent to a child prodigy or a revolutionary. It is something we are sure most parents dream of, their children inheriting and creating a world that a previous generation could only dream about. Often, being a revolutionary has a high price, and for some that price is their very life. For one teenage girl from a small village in Pakistan, she nearly paid that price, but it turns out being shot at was just the start of her incredible journey. We’re talking about Malala Yousafzai of course, the girl from Swat Valley who was shot in the head by the Taliban for advocating girls’ education in a country where it is frowned upon. In her region, there have been over 400 public schools bombed by the Taliban, yet she doggedly refuses to give up championing the cause. Her father Ziauddin has been her biggest champion publicly because he is a teacher himself and could see the value of education even before Malala could. 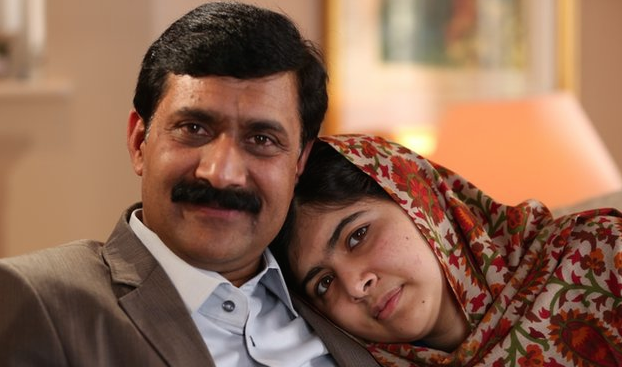 But what is it like being Malala’s dad? 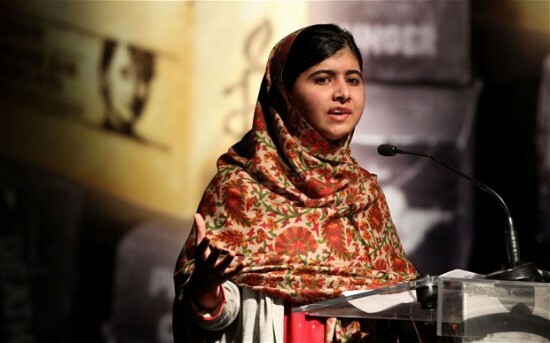 His daughter is the youngest recipient of the Nobel Peace Prize and that is no easy title to carry. But both Malala and her dad seem to be taking to their new-found fame quite well, and that it because they aren’t doing it for the fame. Their foundation is their cause, which is something Ziauddin talks about in a recent interview with Fatherly.com. Coming from a country and a culture where women taking the lead is generally forbidden and are told to honor and obey the men in their family, theirs is a partnership more formidable and ground-breaking than most. “In the context of a patriarchal society there are issues. Boys inherit from their forefathers that their sisters are like their honor. Whenever anything happens, they are incited and they bully their sisters, they even kill, if they find their sisters having an illicit relationship with boy, or anything that is not acceptable for their society,” he says. Ziauddin explains he wanted to change this because he was outraged at the many honor killings that happen because of this cultural way of thinking. He also adds there are hardly any other fathers like him from his society because often it is easier to fit into the norm rather than challenge them. But challenge them Zia did, despite the threats from the Taliban, and that is the essence of his message. Both Ziauddin and Malala don’t view their opportunities to speak as fame, but rather as their duty to continue speaking about an important issue. 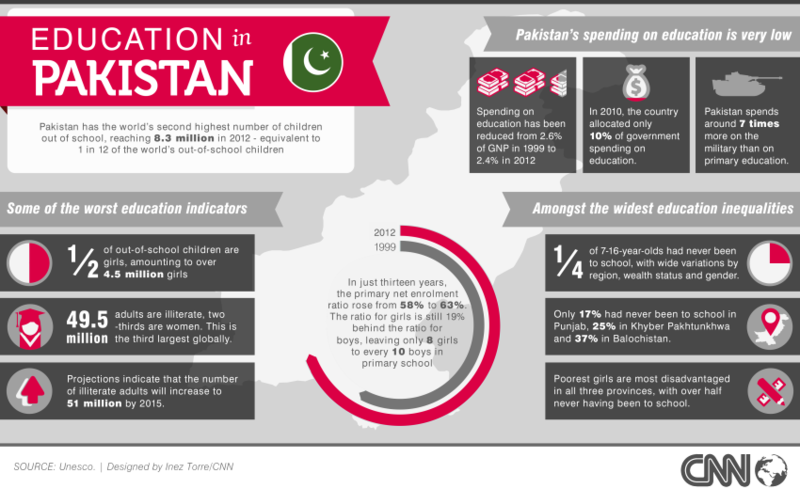 According to a 2014 report from UNESCO, more than 4.5 million girls are out of school in Pakistan, while spending on education has decreased to 2.4% of GNP in 2012. UNESCO also says that for every 10 boys there are only eight girls in class and that the poorest girls are the most disadvantaged. So what does he think of how the world has taken to this young teenage girl who has so bravely stepped onto the global humanitarian radar? Ziauddin is her biggest supporter. He says although he has been campaigning for education and women’s rights for a long time, Malala being shot gave her an intense focus like never before. He even goes as far as to say she is braver than him, as he used to tell her at speaking engagements before she was shot, not to name the Taliban. But she did anyway, and despite her attack, she continues to do so and doesn’t allow a terrorist group to scare her into hiding her message. Ziauddin is not your average kind of dad, but he has advice for other parents that could potentially influence a whole generation of kids to be world-changers like Malala. 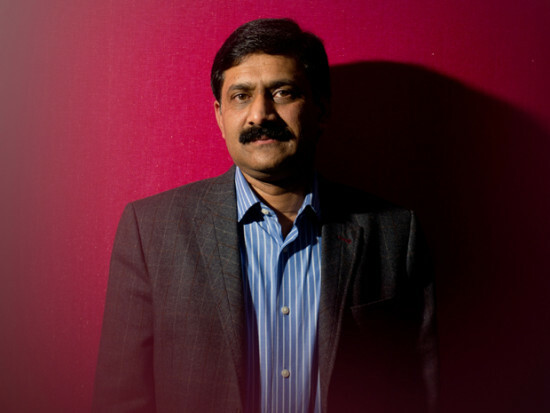 In a TED Talk he gave in 2014, Ziauddin spoke passionately about his daughter Malala and said one of the main reasons she, a girl from a patriarchal society where women don’t have the same rights as men, was able to succeed in life was because he refuse to “clip her wings”. “Women and men deserve equal opportunities for education, autonomy, an independent identity,” he said. And thanks to his own revolutionary and rebellious mindset, the world’s nearly 121 million uneducated girls in the developing world have a vocal ambassador bringing their plight to mainstream consciences.